The preliminary data for births in 2008 has been released by the CDC's National Center for Healthcare Statistics. Florida has risen to an all-time high 38.2% cesarean section rate. Sarasota Memorial Hospital's c-section rate for the same year was 41.7%, a slight increase from their 2007 reported data of 41.3%. -The World Health Organization (WHO) states that no region in the world is justified in having a cesarean rate greater than 10 to 15 percent. -A cesarean section poses documented medical risks to the mother's health, including infections, hemorrhage, transfusion, injury to other organs, anesthesia complications, psychological complications, and a maternal mortality two to four times greater than that for a vaginal birth. -An elective cesarean section increases the risk to the infant of premature birth and respiratory distress syndrome, both of which are associated with multiple complications, intensive care and burdensome financial costs. Even mature babies, the absences of labor increases the risk of breathing problems and other complications. -Cesareans can delay the opportunity for early mother-newborn interaction, breastfeeding and the establishment of family bonds. -The four most common medical causes contributing to the increase in cesarean section rates in North America are: routine repeat cesareans; dystocia (non-progressive labor); breech presentation; and fetal distress. Some reports suggest that more careful diagnosis and management of dystocia could halve the primary section rate. Combined with fewer cesareans for breech presentation (along with more cephalic versions), careful diagnosis of fetal distress and active encouragement of VBAC, these efforts have resulted in lowering cesarean rates to less than 12% in various parts of the world. -Cesarean rates are influenced by non-medical factors. Rates are higher for women who have private medical insurance, are private rather than public clinic patients, are older, are married, have higher levels of education and are in a higher socio-economic bracket. -Cesarean sections are sometimes performed for other than maternal or fetal well-being, such as avoidance of patient pain, patient or provider convenience, provider legal concerns or provider financial incentives. What if instead of a slight increase each year in c-section rates, Sarasota Memorial Hospital and our community worked toward a slight decrease? With only a reduction of 2.2% per year, we can put our obstetric community at the forefront of health care reform by achieving a very healthy model, saving taxpayers literally millions of dollars, and educating women and families in the process. It has been done, and it is being done right now in other parts of the country. New Jersey, the only state in the nation with a higher c-section rate than Florida, is launching the "Worst to First 2010" campaign, in which seven hospitals have agreed to re-educate their staffs to achieve 10%-15% c-section rates. And on Staten Island, one hospital is taking powerful measures to create drastically different outcomes than its nearest competitor. The two New York hospitals sit just five miles apart and serve an almost identical demographic, yet one has the highest c-section rate in the city, and the other, the fourth lowest. Why? Because Staten Island University Hospital does not allow unnecessary inductions for first-time pregnancies at any point before the 41st week, since they are a main cause of c-sections. They also do not allow elective cesarean deliveries upon maternal request. 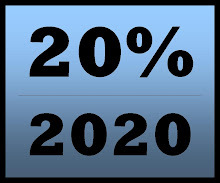 Therefore, it is with great hope, excitement and the vision of a long journey ahead, that Born in Sarasota introduces 20% / 2020, an initiative to encourage elected officials, hospital staff, maternity care practitioners and consumers to reduce Sarasota's epidemic cesarean section rates to 20% by the year 2020. How can we expect obstetricians, our hospital, and our consumers to undergo this change? 1 : Engage our community in an educational campaign about the benefits of spontaneous labor and the risks of cesarean sections that are not medically necessary, to mothers, to babies, and to future pregnancies. 2 : Explicitly describe the difference between maternal request elective cesarean section, physician ordered elective cesarean section, and true emergency surgery. Increase transparency in billing codes so that maternal request elective cesareans are accurately reflected in medical billing. 3 : Increase access to Vaginal Birth After Cesarean. Arm consumers and practitioners with the latest evidence and legislation. 4 : Make informed consent and informed refusal a respected right of the maternity care consumer. Make the public acutely aware of the Patients' Bill of Rights. 5 : Develop a localized cost-savings analysis that will illustrate to the Sarasota County Public Hospital Board and to the taxpayer that a reduction in c-section will not only improve outcomes but save millions of dollars and reduce readmission rates. 6 : Encourage independent childbirth education classes regardless of maternity care provider. 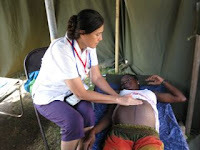 Aside from good health and low risk assessment, prenatal education (including includes thorough education of the childbirth process, inspiring real-life examples, pain-coping mechanisms that do not require medical intervention, and hands-on labor preparation techniques) is the most critical element to avoiding surgical birth. These classes also explore in full detail the risks and benefits of common obstetric interventions such as c-section, labor induction, episiotomy and epidural anesthesia. 7 : Reduce the high-risk population by engaging the childbearing public in a campaign about pre-pregnancy and prenatal nutrition, including the risks of obesity and high blood pressure at birth. 8 : Maintain continued demand for transparency in statistics, at the provider and facility levels. Encourage and advertise The Birth Survey at all maternity care provider offices and facilities in our community. 9 : Increase access and use of Licensed Midwives for low-risk, healthy pregnant women. 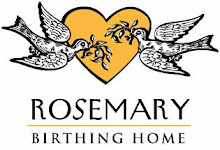 Using midwives at homes and in Birth Centers safely and cost-effectively reduces intervention rates. 10 : Introduce a feedback system by which physicians receive detailed information about the c-sections they have performed, coupled with voluntary adoption of more aggressive protocols for inducing and augmenting labor. In one California hospital, this measure alone HALVED the c-section rate. 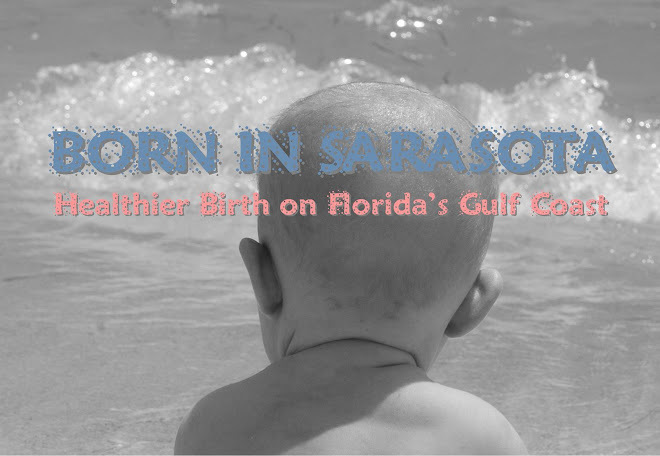 Born in Sarasota would appreciate your feedback on how to best execute this ten-step model toward healthier birth outcomes. It will take the entire community of consumers, physicians, midwives, doulas, hospital administrators, legislators, insurance agents and policy makers to make this happen. But we can save mothers and babies in the process. We want to hear from you! The following was written by Sarasota Memorial Hospital about their new home health care program they are calling the Well Mom, Well Baby program. This is a huge step in the right direction toward postpartum care for all new mothers. New moms and dads are leaving Sarasota Memorial Hospital with more than their bundles of joy. They’re also leaving with greater confidence in their parenting skills and the health of their newborn, knowing a reassuring house call is just a day or two away. Sarasota Memorial began offering free home nurse visits last year to ensure the very best health outcomes for moms anxious to leave the hospital and return to other children at home and those who simply wanted to avoid the expense of a second or third day in the hospital. Parents found the visits so helpful Sarasota Memorial quickly expanded the free house calls to all new moms. “Those first few days at home, even if it’s not your first time, can be a little scary,” said Anme Bass, who was delighted to hear about the new program after delivering her second son, Aiden, at Sarasota Memorial in March. She had planned to return home as soon as possible to her firstborn, Jacob, not yet two. The free one-hour nurse visit is scheduled at the mother’s convenience, usually during her first week home. The specially trained mother-baby nurses assess mom’s recovery and how the baby is progressing. The nurses look for common health issues, such as signs of jaundice, and counsel parents on when they should contact their pediatrician and what they can do at home, such as taking babies outside for some indirect sunshine. They also are certified lactation consultants and look for signs that moms are struggling with postpartum depression or breast feeding – challenges experienced by nearly every new mom. “It can be quite overwhelming in the beginning, especially if the mom is having trouble breastfeeding or not getting enough sleep,” said Mary Lewis, RN, one of Sarasota Memorial’s mother-baby home care nurses. “I’ve had moms burst into tears just a few minutes into our visit. Sarasota Memorial Home Care is a Medicare-certified, licensed and accredited home health agency. Our private duty nurses and home health professionals provide care and support not only for new moms and babies, but anyone who needs a little extra care or support at home. For information, call 917-7730. The Maternal and Child Health Student Organization (MCHSO) at the University of South Florida is hosting Safe and Healthy Childbirth Symposium 2010 this Thursday, April 22, through Saturday, April 24. The event is organized by MCHSO and sponsored by the Department of Community and Family Health, College of Public Health, University of South Florida. The symposium offers an opportunity for students, faculty, and community members to come together to learn and discuss topics related to safe and healthy childbirth. With cesarean section rates on the rise globally, maternal and infant mortality in the US steadily increasing, and billions of dollars spent every year on childbirth, it is no surprise that birth is becoming a topic of concern for medical providers, birth professionals, policy makers, public health professionals, bioethicists, anthropologists, activists, and parents (new and expecting). On the agenda for the symposium is a group of respected speakers and professionals to facilitate constructive learning and discovery during this series of events. Open and free for all! All-day event with renown speakers, birth professionals, panel discussions, and roundtables on various topics surrounding safe and healthy childbirth. 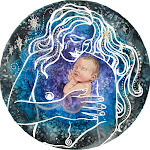 Speakers will include doulas, midwives, childbirth educators, ob-gyns, parents, birth activists, anthropologists, and more! Open and free for all! Screening of movie “Orgasmic Birth” and chat with the Film Director Debra Pascali-Bonaro, Doula and Childbirth Educator. Open to MCHSO members only. Join MCHSO on Blackboard TODAY! March for Babies, March of Dimes Walk (Downtown Tampa). Join the USF Health Corps Student Team or help us raise funds for this cause! For more information, please contact Jordana Frost at jfrost@health.usf.edu. It’s almost been a year since Miranda Skye Nodeen entered the world at 9:44 p.m. Fri. May 29, 2009 at Sarasota Memorial Hospital, into the capable hands of Dr. Kelly Hamel. There are so many inexplicably wonderful things I feel daily for this being that descended from heaven and came through me. There are also things I keep to myself about how she arrived – things I feel guilty for feeling, and things about which I don’t quite know how to feel. When emergencies happen and the participants emerge unscathed, onlookers always say, “You’re safe. You’re alive. That’s all that matters.” They are absolutely correct. That doesn’t change the fact that an emergency occurred. If a ship sinks and everyone on it lives, the ship still went down without forewarning, and there were events leading up to the sinking that will forever remain in the psyches of its survivors. I don’t deign to know how such people felt, but there is a part of me that needs to crawl out of my own smaller-scale shellshock. On the morning of the 29th, I awoke with a stomachache. A half-hour later, my water broke. Eighteen hours later, I’d dilated a mere three centimeters and wouldn’t progress even after drinking cups of tinctures, squatting and climbing up and down stairs in-between every contraction. I would delve into the details between the awareness of this standstill and Miranda’s actual birth, but it is a period of time that is shrouded in mystery, which no Google search or medical hypothesis can conclusively answer. The clock was ticking, the baby’s heart rate was slowing, her distress was increasing and medical technology was imperative. Some may say none of these circumstances matter, as Miranda soldiered onto this planet like a champ and has proved to be a gloriously happy, healthy miracle. In my mind, my own petty emotions stopped being a priority once she joined the picture. How dare I whine about stupid specifics with this beautiful baby in my arms? It continues to be nearly impossible to be in a bad mood in her presence. So I have taken the time to shut the door to my office tonight as she sleeps in her nursery, and permit the tears to flow for the first time. I spent nine months blindly idealizing Miranda’s birth – and not once did I imagine it taking place while my arms were strapped onto a gurney and she was pulled through my abdomen behind a blue curtain. I always assumed it would be more like a spiritual vision quest, when I would come face to face with God on an elevated plane. I was under the impression that it was my decision how she would be born, when in the end, it was Spirit’s judgment call. God and Dr. Hamel saved my baby’s life and mine, and without modern-day medical innovations, we wouldn’t be here. Could there have been another way? Could it have been prevented if there had been more investigation, more tests or more herbs to take? We will never know. At the moment of truth, when it was ultimately do or die, we had to do. So we did. When I think of the thousands of women a century ago that died from complications in childbirth, I can’t help but consider my own fate. These days, no one talks about this notion, and those who even think momentarily about it are made out to be fools. What does it mean that my body responded to birth in the way it did? What does it say about me? What does it say about God? And why was I chosen? I come from a lineage of survivors, and with that DNA comes a mentality of “You’re alive. You have no reason to complain about anything.” The problem with that philosophy is that it doesn’t allow for any real emotional growth; it demands repression. Feelings bubble under the surface, slowly turning into resentment, guardedness and an inability to be vulnerable. I have held my tears in check for 10 1/2 months behind a bulging internal dam. They deserve to be liberated, and so do I. No, I have no reason to complain. Yes, I have a million reasons to rejoice. But I also have every right to remember, to ruminate and to wonder. I have a right to grieve the loss of the many fragile hopes I cultivated (not just in those nine months but in my entire 28 years), the loss of the omniscience I deluded myself into thinking I had, and most importantly, the loss of my pride. Instead of being the fearless, strong, impermeable mother I so desperately wanted to be in the moment my baby was born, I got to be the child. It turns out that was exactly what I spent my life needing and never got. Spirit proved once again to be the mother that “knows best,” no matter how much I may have thought I had all the answers. Miranda and I were born concurrently at 9:44 p.m. Fri. May 29, 2009 and now, we’re on this unassuming journey together. Today, I have infinitely more to teach her than I might have if the cosmic tables had never turned. Response to Herald's "Maternal Deaths Decline"
This letter was printed in the Sarasota Herald-Tribune on Sunday, April 18th. I disagree with those who urged The Lancet to delay publicizing the recent decline in global maternal mortality ("Maternal Deaths see surprising decline worldwide," Sarasota Herald-Tribune, April 14, page 1A). It should be a beacon of hope that improved nutrition, access to prenatal care, and the availability of skilled attendants is increasing. In 80% of the world, those skilled attendants are midwives. After witnessing the work of Ibu Robin Lim in the Sarasota Film Festival screening of “Guerilla Midwife,” I am inspired to believe that the resurgence of traditional midwifery worldwide is no small factor in this global shift toward healthier birth. However, one disturbing trend remains missing from the Lancet findings. In the United States, maternal mortality continues to rise sharply. According to the recently released Amnesty International report "Deadly Delivery," U.S. maternal mortality ratios have doubled from 6.6 deaths per 100,000 live births in 1987 to 13.3 deaths per 100,000 live births in 2006, placing us 41st in the world in this category. The report attributes the increase to inadequate access to family planning, less than optimal health, late or inadequate prenatal care, inadequate or inappropriate care during delivery, and limited access to post-natal care. The United States spends more on health care than any other nation in the world, yet we are failing our pregnant women. We must prioritize accountability of data collection, increase access to midwifery and to prenatal care, eliminate inappropriate obstetric intervention, and mandate postpartum visitation for new mothers. The following guest column appeared in today's Sarasota Herald-Tribune. 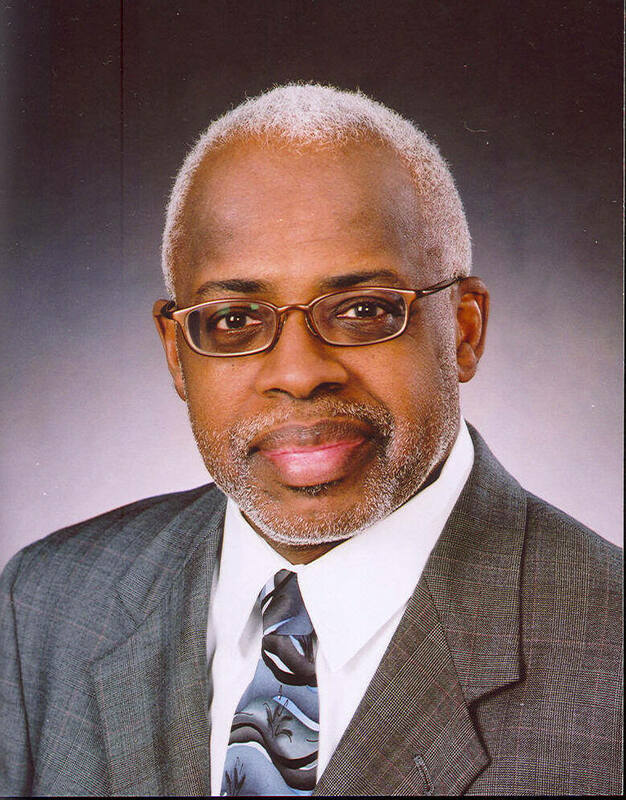 Dr. Washington Hill, director of maternal-fetal medicine and medical director of labor and delivery at Sarasota Memorial Hospital, has been a long time friend and supporter of Healthy Start Coalitions. Please read his evidence based call to action for consumers and legislators to act now to stop the elimination of this life saving organization. Florida enacted the nation's most comprehensive maternal and infant health-care program on June 4, 1991. It was called the Florida Healthy Start Initiative. The goal of Healthy Start is to reduce infant mortality, reduce the number of low birth- weight babies and improve health and developmental outcomes. It does all of these very well. The key components of Florida's Healthy Start include universal prenatal and infant risk screening, care coordination and services, community-based prenatal and infant health-care coalitions, children's medical services expansion, and increasing Medicaid eligibility for pregnant women. Florida has reached a crossroads with this program. The state House of Representatives has eliminated Healthy Start Coalitions in its budget and transferred the direct-service dollars, minus 15 percent of those dollars, to county health departments. Some health departments are not equipped to do this and in some instances are restricted from performing some of these activities. The Senate budget has no such cuts. Over the next weeks, as the legislative conference committees are being formed, the fate of Healthy Start is really unknown. Keep in mind that 1,912 infants in Florida did not even survive to celebrate their first birthday in 1990. That same year, 5,341 women did not receive any prenatal care whatsoever during their pregnancy and an additional 8,567 woman in Florida did not receive prenatal care until their third trimester. 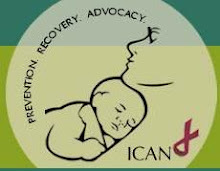 The Centers for Disease Control and Prevention identifies lack of prenatal care as one of the leading causes of infant mortality. In the past, the Legislature recognized the need to reduce infant mortality and promote healthy childhood development and created the Healthy Start program to address those needs. For 19 years it has worked well and we need it to continue. If the change proposed in the House budget occurs, program costs will increase, opportunities for additional fundraising will be diminished, community decision-making, education and partnerships to meet local needs here in Sarasota and around Florida will cease, and the momentum to decrease fetal and infant mortality prematurity and low birth weight babies in Florida will also be lost forever. Thirty Healthy Start Coalitions now cover 64 of the 67 counties in Florida. These coalitions remove barriers to health care and effectively promote healthy outcomes and a healthy start for babies. While 25 of the 67 county health departments do not even provide prenatal care, Sarasota County is not one of them. We are blessed with a superb obstetrics program called Mother's Care Center. Healthy Start Coalitions have also established provider networks to ensure all pregnant women have access to care. In Sarasota County this occurs through numerous, very competent healthcare providers and maternal-fetal medicine specialists. A change in delivery of the services would mean the loss of millions of additional dollars. In one year alone coalitions raised $32 million from other funding sources. This money was used to support projects targeted to meet the needs of individual communities. In Sarasota County more than $80,000 in in-kind services were provided to pregnant women or new moms in Healthy Start. More than $47,000 in additional grants and donations helped us run our programs. This is a perfect example of how public/private partnerships promote a "less government" approach to services. The success of Healthy Start speaks for itself. I see that success every day at Sarasota Memorial Hospital and the county. Infant mortality has decreased 20 percent since the coalitions were established in 1991. By increasing access to care, Healthy Start prevents maternal and child health issues that are not only devastating but costly. First-year medical costs for a premature birth alone are about 10 times those for a full- term infant. The work of Healthy Start decreases the number of preterm births, high-risk infant births and high risk mothers. Sarasota County cannot afford to lose the benefits gained from Healthy Start Coalitions. If Healthy Start Coalitions are eliminated or their budget decreased as proposed, we will lose out on the benefits of this model, which has proven to be successful. This is a best-practice model that Sarasota County and Florida cannot do without. We need to all make sure that the proposed elimination of funding for Healthy Start Coalitions around the state does not occur and recognize that the coalitions are a valuable resource in improving maternal and child health. All of us understand the difficult decisions that our legislators have to make regarding the Florida budget. However, it makes no fiscal or ethical sense to eliminate Healthy Start Coalitions. The fiscal reality is that if Florida does not pay upfront for the prevention of maternal and child problems, it will pay after delivery an even higher cost to treat them. Sarasota County and the rest of Florida need Healthy Start.